Fred Isquith is a senior partner at Wolf Haldenstein and Chair of the Antitrust/Competition Law practice. Mr. Isquith has extensive experience in antitrust law and securities law and has been at the forefront of several notable federal class actions. He is a member of the Business Practice, Consumer Practice and Investor Protection practice groups with an emphasis on securities litigation, derivative litigation, transactional litigation, antitrust/competition law, and unfair and deceptive business practices law. Mr. Isquith has extensive experience in complex class actions including representation of institutional investors, such as public and labor pension funds, labor health and welfare benefit funds, and private institutional investors who suffered losses due to corporate fraud and business clients. He is part of the Firm’s team that recovered over $7 billion for investors. Mr. Isquith joined the firm in 1980 as a partner. Served as lead counsel or co-lead in high profile federal multi-district litigation matters including in securities class and derivative actions representing institutional and individual investors which resulted in the recovery of more than $1-billion and significant corporate governance reforms against companies in cases such as the IPO Litigation, the DRAM Antitrust Litigation, Bhopal Derivative Litigation, Packaged Seafood Antitrust Litigation, MicroStrategy Securities Litigation, and the Mutual Fund Timing Litigation among many. Represented shareholders in several precedent-setting shareholder actions in Delaware Chancery Court and the courts of New York as well as other states. Represented investors in a federal class securities lawsuit against the more than 300 companies named in the precedent setting IPO Securities Litigation. This noteworthy case has resulted in several major opinions by the Second Circuit Court of Appeals, and the United States Supreme Court. Served as consulting counsel in other cases before the United States Supreme Court. 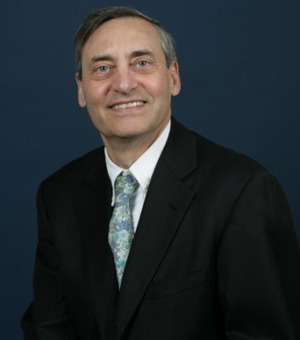 For more than 25 years, Mr. Isquith has authored and published commentary on noteworthy federal class action and complex litigation and the judiciary including more than 50 articles, 1000 columns and a chapter in a book regarding Federal Civil Practice. He is also cited by legal industry media as a resource on complex litigation. Mr. Isquith lectures to associations of other lawyers and to law students of various practice areas. 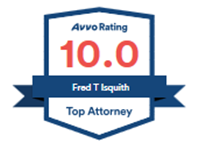 Mr. Isquith is a member of the Association of the Bar of the City of New York and their Antitrust and Federal Courts committees, the New York State of Bar Association and its Securities Committee, and served as president of the National Association of the Class Action Attorneys.